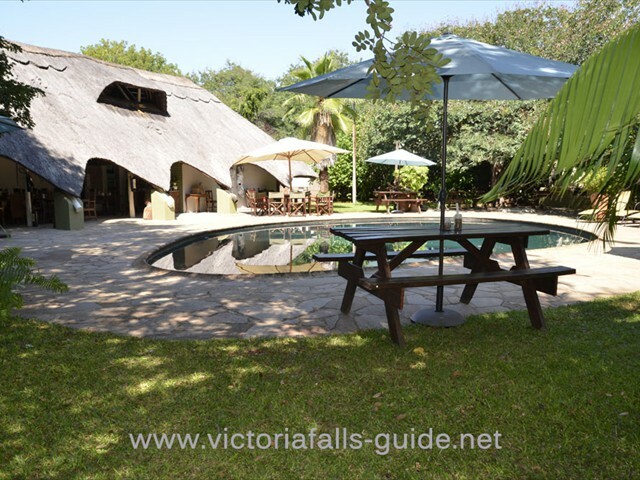 Affordable short stay safari combining both Victoria Falls and the Chobe National Park. Comfortable but not fancy accommodation in Victoria Falls, you get to see and experience this magnificent waterfall and all the activities that are available from sunset cruises to bungee jumping and everything in between. Plus, enjoy a safari experience in Chobe, probably the most prolific wildlife park in Southern Africa, famous for its vast herds of elephant, lion and leopard sightings. This camping safari allows you to stay inside the park, which has a number of huge advantages. On arrival at Victoria Falls Airport, you will be met by one of our representatives and transferred by air-conditioned minibus to Bayete Guest Lodge. Take some time to settle in and relax, or we recommend a sunset cruise or helicopter flight on this first afternoon. Dinner can either be at the lodge or we can recommend other options in and around town. Although activities are not included in the package price, please let us help you to arrange an itinerary of activities suitable for you. Have a look at these Victoria Falls activities and discounted packages to see what is on offer. You have 2 full days to soak up the wonderful atmosphere of Victoria Falls, it is the adventure capital of Africa and there are activities on offer to cater for everyone’s needs. View the mighty Falls, partake in the many activities on offer or wander around the streets to do a bit of curio shopping, then finish off at a cafe for refreshments and a bite to eat. Please have a look at the available Victoria Falls Activities and contact us to arrange a suitable itinerary just for you. Bayete Guest Lodge offers comfortable and affordable accommodation and is situated in the heart of the Victoria Falls Residential Area. 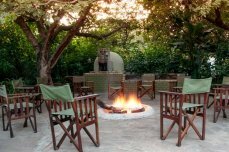 The lodge is 3km away from the Victoria Falls rainforest and 22 km from the airport. 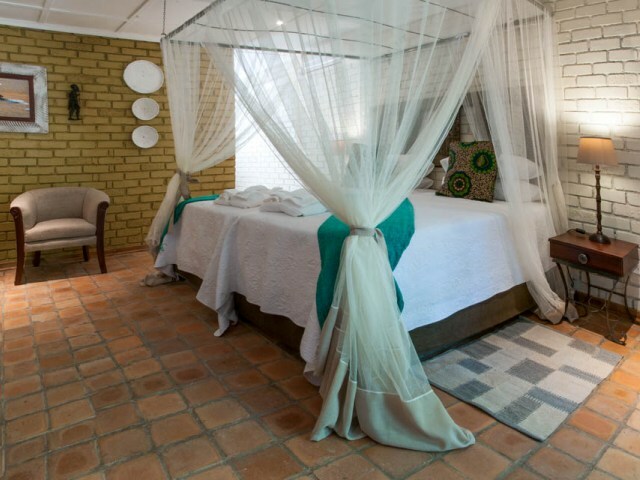 Recently renovated, this family run lodge has 25 rooms which are set in a lush tropical garden. Central to the lodge is the large tear drop pool which is hugged by the Caldecott Boma and Ngwezi Tavern. Breakfast is served in the Caldecott Boma every day. Lunch and dinner are also available on special request and are delicious home cooked meals. Buffets and BBQ’s are available for group bookings or by special request. This personalised lodge with a lovely home from home atmosphere, is certainly the best choice in this range of accommodation. On this day, you will be picked up bright and early for a ride out of Victoria Falls to Botswana. It is about an hour long, and there are chances of spotting some elephants or giraffe along the way. There is a border crossing involved, so make sure that you have the necessary documents (click here for information about Botswana Visas). Upon arrival in Kasane town, some tea/coffee with muffins will be served along with a safari briefing. Next is a 3-hour boat cruise on the Chobe River. The cruise ends in time for lunch in Kasane town. After lunch, you will have a last chance to stock up at the local stores for any supplies (like alcoholic beverages) before entering the Chobe National Park for an afternoon game drive. Explore the Chobe River waterfront which is famous for its dense concentrations of all forms of wildlife - spectacular! 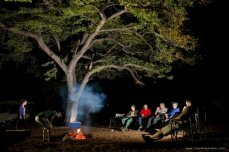 The game drive takes you to the overnight camping spot where you will be served drinks around the camp fire and then dinner. Safaris generally entail early morning starts and this safari is no exception - mornings are often when predators like lion are at their most active. This is the advantage of staying inside the park; that you can be up and out there well ahead of those guests staying in Kasane. After a quick splash down with warm water in a basin, and a light breakfast you head out on your morning game drive. After the game drive, you will return to camp for a tasty brunch in the bush, a rest (or siesta if you like), and a refreshing shower. 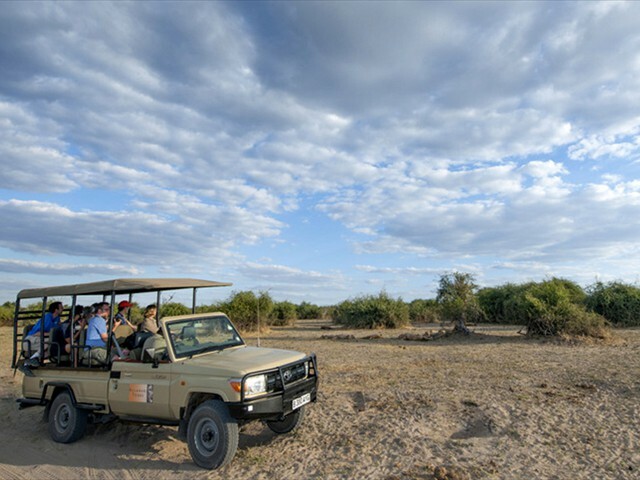 An afternoon game drive will take you to unseen areas of Chobe National Park and once again the opportunity to see and savour the magnificent wildlife that Chobe has to offer. The game drive ends around dusk and you return to camp for sundowners around the camp fire. Dinner will be served as you listen to the unforgettable night sounds of the African bush. 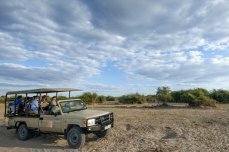 On the third morning, you will be woken up for the usual breakfast and head out of Chobe National Park via one last early morning game drive. You will be dropped off at Kasane Airport for your departure flight. 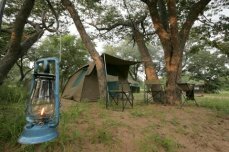 For a real wilderness camping experience within the borders of the Chobe National Park, a Chobe Camping Safari offers guests a guided safari with basic camping gear at a reasonable price. Because of a lack of affordable accommodation within Chobe National Park, this is a great alternative. The biggest advantage of sleeping inside the park is that you are able to carry on game viewing until sunset and again in the morning before sunrise. Guests staying outside the park have had to leave their prime viewing spots in order to get to the exit gate before closure. These few hours are when animals are at their most active and these can be your most productive hours out of the whole day. 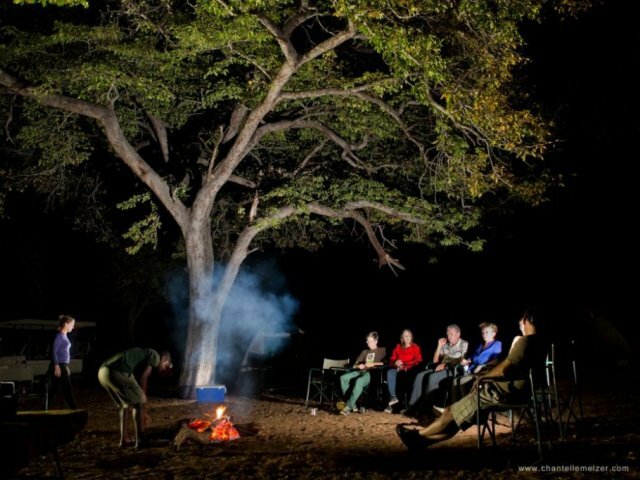 The privately designated camps are often deep within the National Park which means you get to see parts of the park that guest staying in Kasane and doing day trips don't get to see, allowing you a more private an exclusive safari. These are basic camping safaris with bedrolls in tents and bush toilets, so best situated to the more adventurous traveller rather than someone seeking luxury. • All road transfers from Victoria Falls Airport to Bayete Guest Lodge, Chobe Camping Safari, and Kasane airport.